20 Undated, Upper-Box ticket vouchers that can be redeemed for any regular season home game throughout 2019. Savings of 25% off regular ticket price per voucher. Choose ANY Game To Attend*. Flexibility to pick games when you want. Variety of seating locations available. Vouchers are redeemed at the box office and seating is assigned in the best available Upper Box location agreeable to the patron. 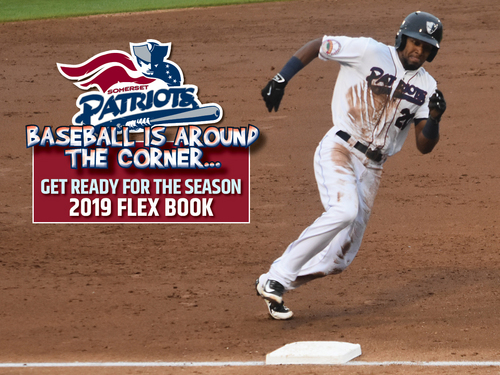 Bonus- Two Complimentary Tickets and a 10% Off Coupon for the Somerset Patriots Team Store. Seating Upgrades Are Available Upon Request. These are great ideas for family, friends, or employees! $180 (Actual Flex Book OfferValue Is $264)!